Comprising an optical compartment, pole, arm (single or double) and pole-top (single, double or triple). Frame type optical compartment in die-cast aluminium; frame secured with captive screws; tempered sodium-calcium sealing glass, thickness 4 mm. internal retention cables made of galvanised steel; reflector in 99.9% super-pure aluminium. 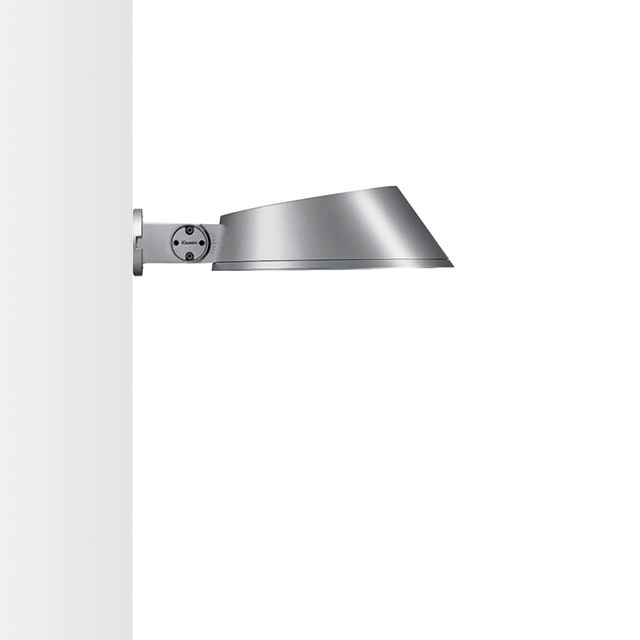 porcelain lamp-holder secured with anodised aluminium supports; lamp anti-loosening device. Aluminium pole top and arms.